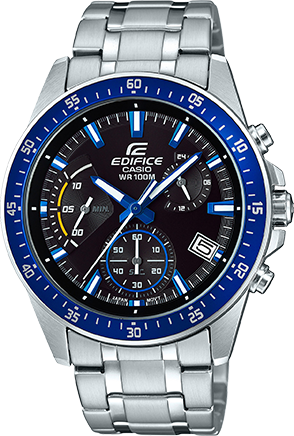 The new EQS800 solar chronograph has enhanced charging technology that can store plenty of energy to drive the watch via the solar panel under the inset dials. 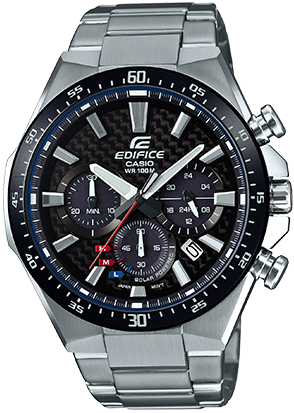 This enabled the use of a carbon fiber dial—a first for a Casio solar chronograph.Carbon fiber is also employed in racing cars due to their light weight and strength. 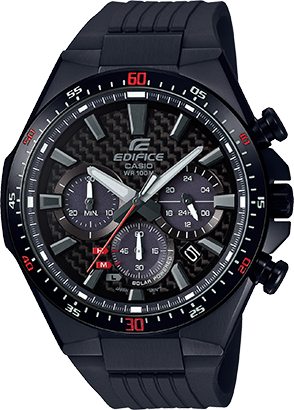 In addition to evoking motorsports by using carbon, the attractive carbon weave gives a sharp, bold look to the watch.